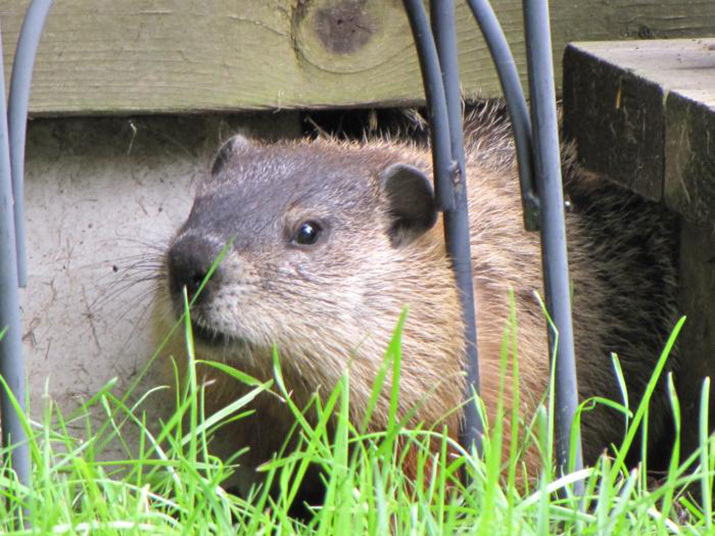 Canadian Wildlife Federation: I have a groundhog in my backyard that’s eating all my plants – it’s driving me nuts! How do I get rid of him (kindly)? A.This is very common in the summer. An animal is typically attracted to our property for one or two reasons: it provides a food source and/or shelter. In this instance you have a food source. The best thing to do is to try and remove the attractiveness of your gardens! But don’t worry. We won’t make you dig up the garden. You can achieve this by using scent and taste deterrents that will make your flowers and vegetables less appealing. Make a small pouch out of a nylon stocking or an onion bag and place some dog hair in it. Attach this to a small stick and place in and around your garden. The groundhog will think a predator is near! Sprinkle dry bloodmeal around target plants to again make the groundhog think a predator is close by. Plant garlic, onion, chives and/or marigolds near the plants you would like to protect or sprinkle garlic and onion powder on those plants for a similar effect. Plant a patch of clover or alfalfa to lure them away from your desired plants. The more of these deterrents you use the better your chances of success. While the groundhog may be able to overcome one or two of these deterrents, it will be more reluctant to ignore multiple “warning signs.” The fresher these scents and tastes are the more chances this will work so remember to refresh these every couple of days and after it rains until the groundhog learns that your plants are not delicious! I should also note that these work really well for some people and not so well for others. The earlier you can start these the better.